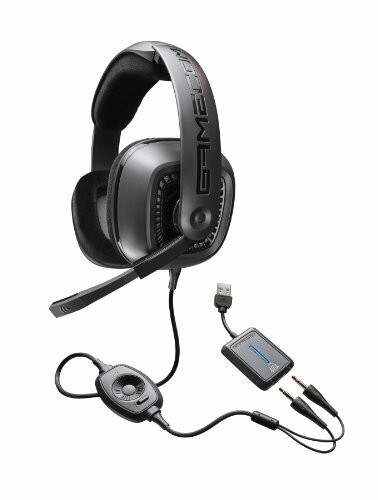 The Plantronics GameCom 777 is one of the standard bearers in the headset industry. The newest version features 7.1 sound and is very reasonably priced. Gaming can never be a complete experience without the optimal sound support. That’s why a lot of avid and dedicated gamers put a budget towards getting a good set of speakers or headsets or maybe even both. But because there are a lot of companies that manufacture headsets, it can be quite difficult to choose which one to suit your needs. The bigger names like Razer have certainly continued their reputation of being the best when it comes to gaming peripherals. The Plantronics Gamecom 777 is a heavy duty headset designed for gaming, but does it live up to the demand and expectations of the gaming community? The Plantronics GameCom 777 can be considered as one of the oldest gaming headsets since it’s been around since 2008 – about 7 years ago. 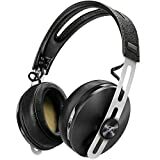 The complete package is composed of the headphones which sport a dark gray color and a small USB cord. While being small in size, the Plantronics GameCom 777 is still strong and sturdy. Though it looks a bit rugged, this gaming headset is still flexible. Being the latest version of the Plantronics GameCom 777 gaming headset, this one is equipped with a 7.1 Dolby Surround Sound dongle. Using a USB audio device that provides the Dolby headphone technology, you get a virtual surround sound output transmitted through the headset. The dongle reveals a 3.5 mm headphone connector which can be used for almost any audio device. Another cool thing about this headset is the microphone which can easily be slid to the side invisibly when you’re not using it. The dongle contains the switch wherein you can toggle between virtual surround sound and normal output which can be handy. However, having it connected to the USB port behind your PC makes it obsolete since the cord is too short to reach it properly and still let you access the switches on the dongle unless you reach out for them. The cans of the headset sit easily over your ears but just making it barely. Take note that while the cushion on top is large and covers most of the headrest, the ears still take most of the weight. The headset feels tight overall on the ears and even though it feels comfortable at first, it won’t last very long. One of the biggest issues that the Plantronics Gamecom 777 has is the comfort level after a few hours of wearing it since you’ll eventually feel sore after an hour, prompting you to take it off to relieve the pain and the heat around your ears. The microphone is also a bit short compared to the other gaming headsets on the market and can be a factor in the low audio quality and responsiveness from the microphone. The 5.1 up scaling of the stereo audio was a disappointment when it comes to game. Sure, the quality may have been good but the directional audio was really poor, making it hard to guess where the sound is coming from. But that’s not usually the case since true surround sound games and movies turn out to be sounding good. If you’re playing a serious game or an avid gamer that needs to have constant awareness of his surroundings, then the Plantronics Gamecom 777 might become a liability in your gameplay if you’re that serious. If you’re looking for a great heavy duty gaming headset that can truly give you everything that you’ll need, you can look somewhere else. 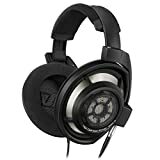 However, if you’re only looking at a simple choice when it comes to a headset, then checking the Plantronic Gamecom 777 is definitely something to do.